Paul O’Neal’s family needs justice! Two weeks ago, police body cams caught three officers shooting 15 bullets into a fleeing car 18-year-old Paul O’Neal was driving. Paul managed to escape the vehicle and then ran for his life. 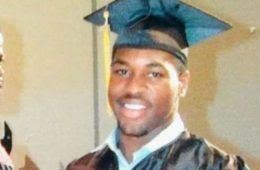 But police were determined to catch the unarmed teen by any means necessary and shot five fatal bullets into his back. As Paul’s family attorney said, police who act as “judge, jury, and executioner” must be indicted and convicted. It’s been 13 days since Paul’s murder and State Attorney Anita Alvarez still hasn’t pressed charges. Now, Paul O’Neal’s family is calling for a special prosecutor. Will you stand with the family of Paul O’Neal and demand a special prosecutor be assigned to Paul’s case?